Shafer Butte is a big, scenic mountain which dominates the southwest corner of the Boise Mountains. It is located just north of Boise. The peak is surrounded by the Bogus Basin Ski Resort. 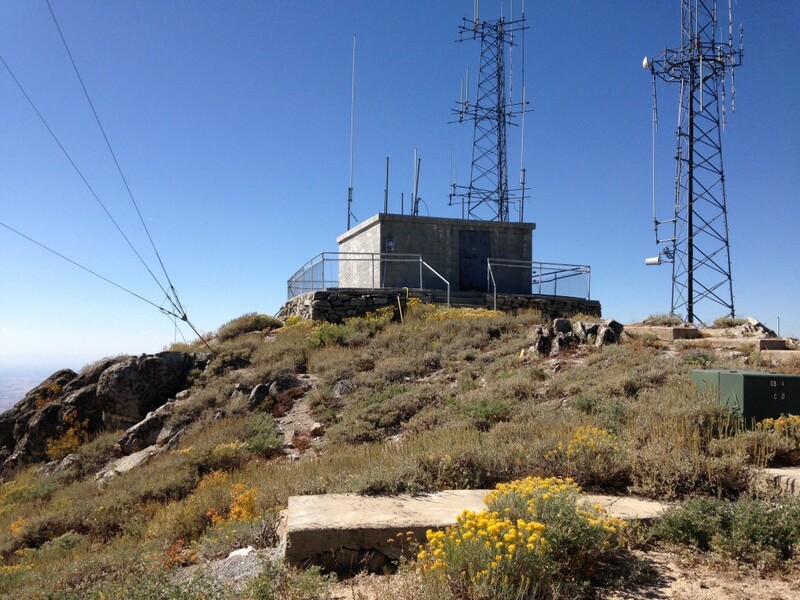 The peak was once the home of a fire lookout. 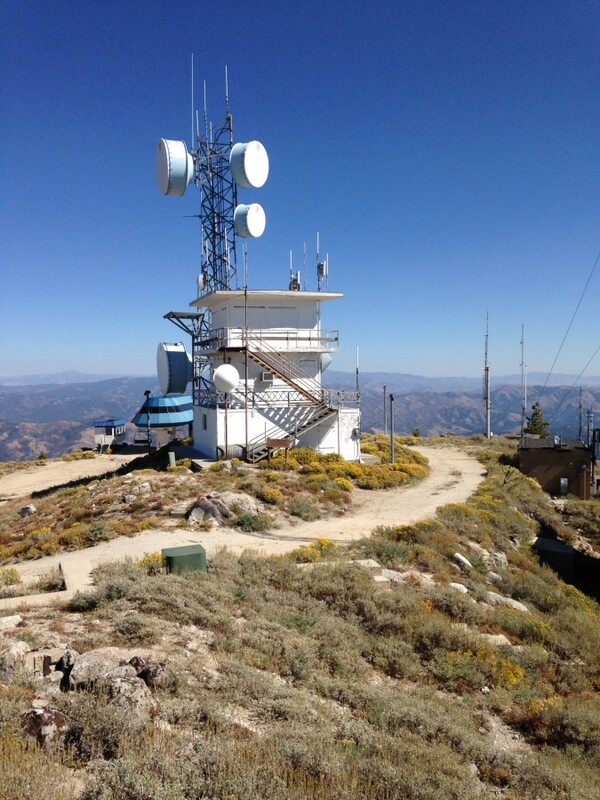 The lookout is still on the summit surrounded by an assortment of communication towers. Shafer Butte from Mores Mountain. The area around the peak is a maze of ski runs, roads, cat tracks and hiking and mountain bike trails. 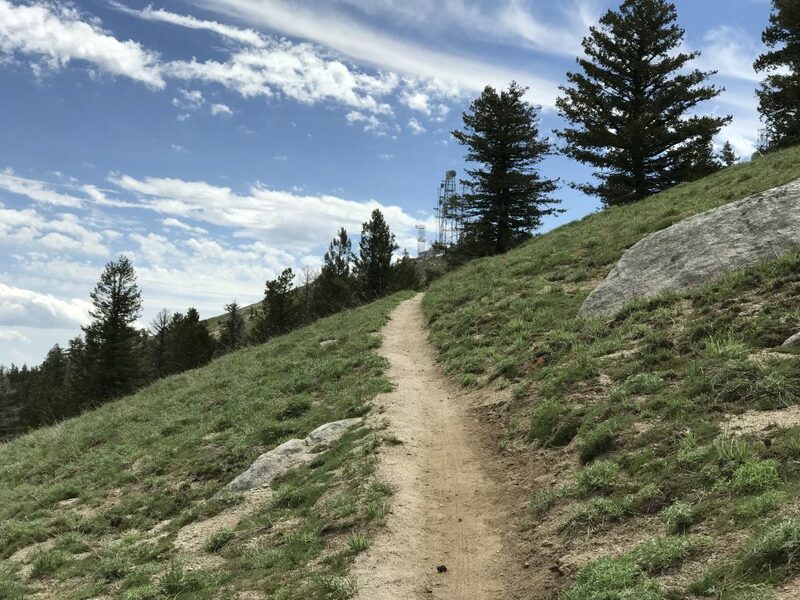 The roads and cat tracks leading up to the summit are not open to the motorcycles or ATVs other than government and Bogus Basin vehicles. Thus, during the summer it’s a great place to mountain bike or hike. I recommend doing this during the week as the resort is busy on summer weekends. After years of exiting a lift near the summit I decided to get to the top self-propelled and rode my mountain bike to the summit. With all the trails, roads and cat tracks there are many ways to get to the top besides my recommended route (below). The Bogus Basin Ski Resort’s website is worth a visit to check on current conditions and events. Bogus maintains a map showing all of the summer trails at this Link: Summer Trails. If you are in the area check out the Mores Mountain page. The peak is right next door to Shafer Butte and it is worth a visit. 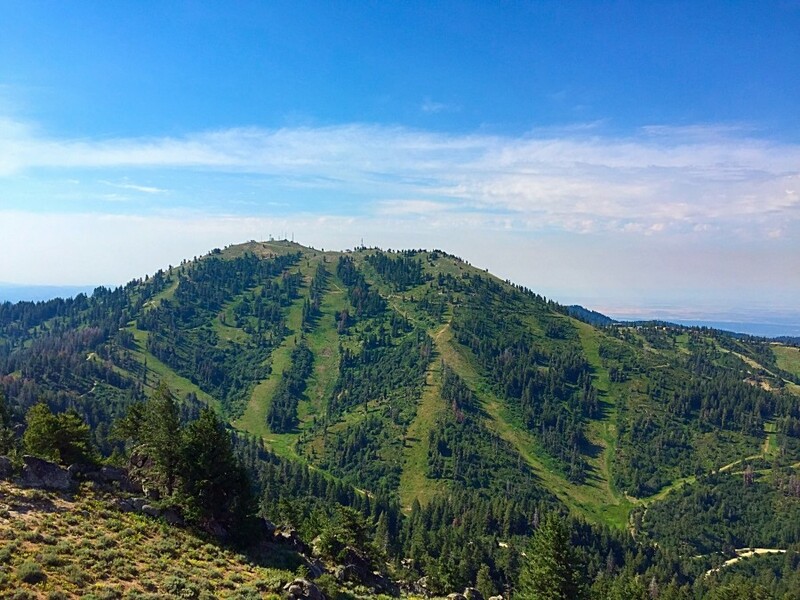 Bogus Basin is reached by a twisting paved road from Boise. [(A)(1) page 153] Google Maps will get you to the resort. Search for Pioneer Lodge, Bogus Basin. It is 20.0 miles from Main Street to the lodge where there is a large paved parking lot. From the lodge walk east toward a ski lift crossing over an old tennis court installation. From the ski lift take the Lodge Trail (road) north and across the peak’s western slopes. 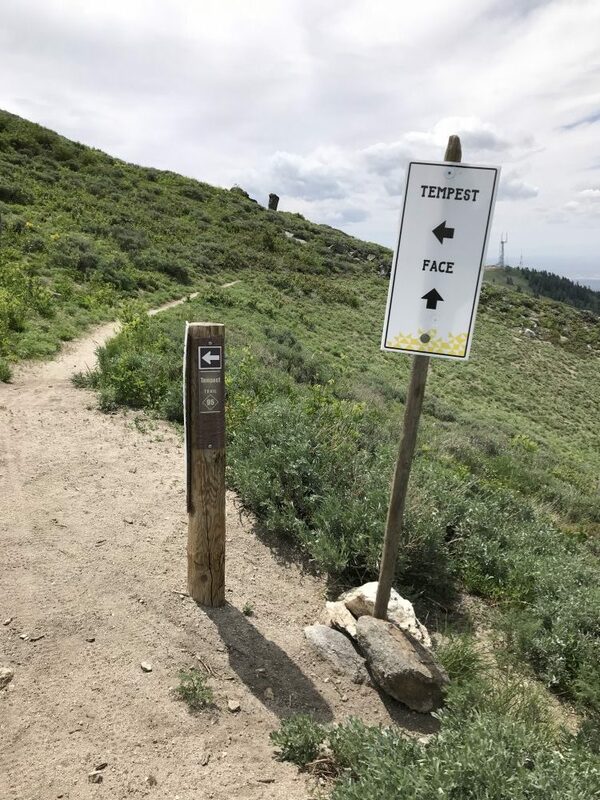 In roughly 0.4 miles you will come to a signed intersection with the Tempest Trail. Turn onto this trail and follow it as it switchbacks up the western slopes. At 7,400 feet the trail traverse southeast along the summit ridge and ends at the top of the Pioneer Lift. From this point follow the road east to the summit area and the top of the Pine Creek lift. From here simply turn back west. The lookout is just above you and the true summit is just behind the lookout. This route gained 750 of elevation in 1.5 miles. My GPS track utilizing tje Lodge and Tempest Trails. Note: The USGS and Forest Service topo maps do not show all of the roads and trails you will encounter. 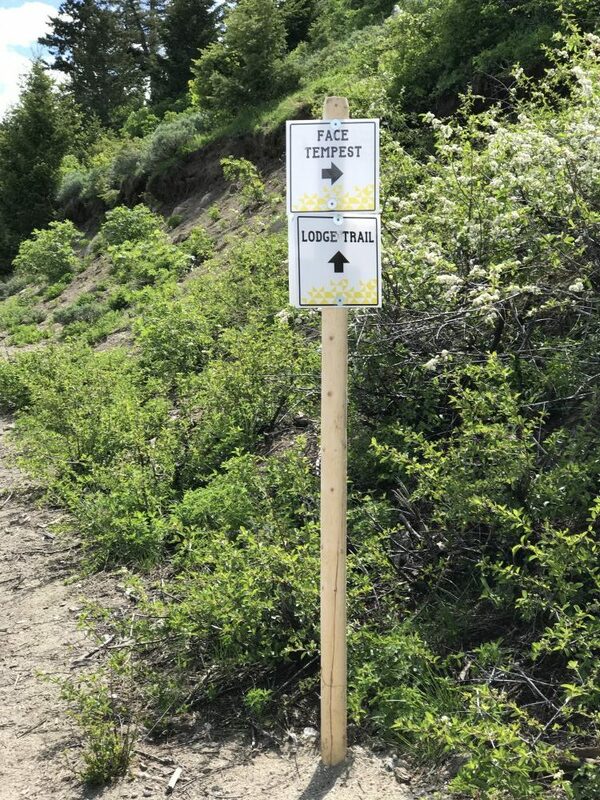 The Tempest Trail junction was signed on 2018. The next junction is also signed. Turn left here. 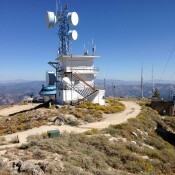 As the trail begins the traverse along the summit ridge the summit communicactions equipment can be spotted avove. When you reach the top of the Pine Creek lift the old lookout tower is right above you. 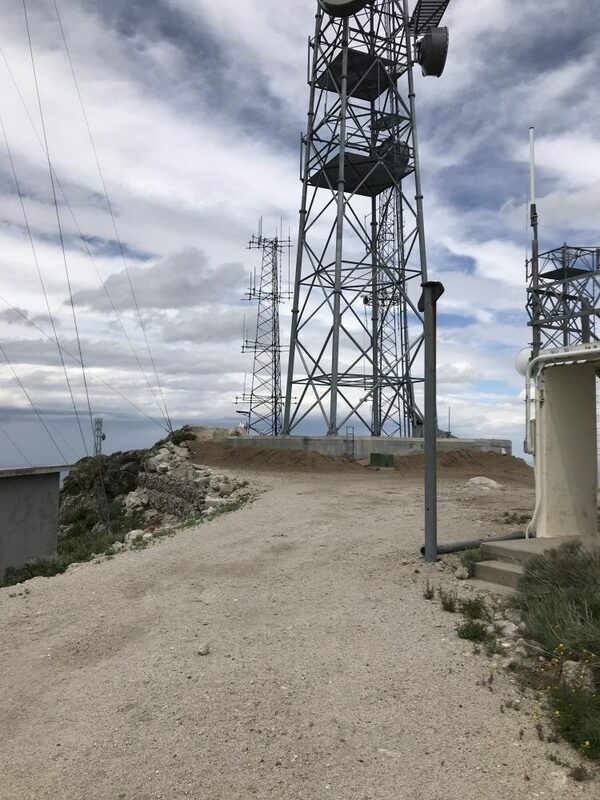 As of 2018 the true summit has been altered by the removal of the original viewing platform amd tha addition of a new communication tower. See the next photo for the way the summit looked before the new construction. This, until 2018, was the high point. An observation deck surrounded the building. 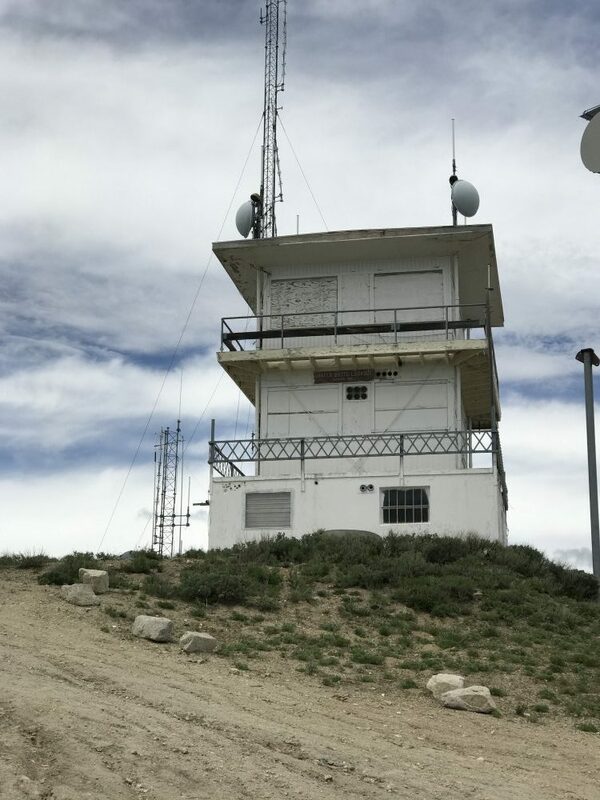 The fire lookout sits just north of the high point.